into reality and you can be the next! Looking for a Ghostwriter, Editing or Publishing Services? GhostWriting LLC. has brilliant ghostwriters to accommodate all genres, from fiction novels to business books, memoirs to self-help guides. We also provide turnkey publishing services for authors globally. Reasons to Choose Our GhostWriting Services: Unlike many firms, GhostWriting LLC. is not a referral agency. Our writers are either on staff or ghostwrite primarily for us, under close supervision and editorial control. Ghost Writing LLC. is certainly the place for you if you are planning to get your book written, edited or proofread. Nonfiction: Our non-fiction writers perfectly manage everything from business books to personal memoirs. Genres include self-help, finance, management, inspiration, religion, military, politics, history, academic, sports, health, and this is merely the beginning. Fiction: Fiction writers at Ghost Writing LLC possess the skill to create some of the most ingenious content. We cover a spectrum of genres from sci-fi to adventure, from horror to humor and everything imagination can reveal. Distribution and Sales: Renowned authors at Ghostwriting llc have sold thousands of books through several book stores and outlets including e-stores such as Barnes & Noble and Amazon.com. Our authors have also enjoyed success in selling through retailers, book clubs, wholesalers and distributors. A flexible process custom designed to perfectly suit your manuscript. Ghost Writing LLC ensure your idea is transformed into an incredible book. More Reasons to Choose Our Services? Waiting for your book writing dream to come true? We are here to bring your dream to life. Ghostwriting LLC editing and ghostwriting services provide you with everything required to develop and publish your very own book. Our company gives you a unique opportunity to work with a team of bestselling authors, editors, and publishing giants who have a passion for writing books and will work collaboratively to ensure you achieve your publishing aspirations. We are an internationally recognized ghostwriting and editing agency, with some of the best ghostwriters on the team. Ghostwriting LLC premium services also include design, illustration, production and marketing. If you're hoping to hire a ghostwriter that will deliver your work to its fullest — we're the goal for you! We have a group of stars and amazing ghostwriters whose information, mastery and expertise reach out into different distinctive territories of writing. With the right ghostwriting experts that have involvement in many subjects and different line of work—your troubles become easier to handle. We are ghostwriting services on the web that can help you finish exceptionally great content. Profitable: Your book your earnings. You keep all you earn from your work. Privacy: You remain protected with our confidentiality agreement at all times. Qualified Experts: We are a group of qualified experts who are prepared to make any sort of work you require. Authentic Research: We will look to comprehend your correct requirements according to your required content. Online Support: The author or our ghostwriter that will be linked to you will work together with you at any time. Secure Ownership: What is yours will remain yours. From copyrights to film/TV adaptation privileges. Professional Excellence: Our master ghostwriters know about all written work measures, fundamentals, and guidelines. Ghostwriting llc remarkable clientele include bestselling authors, literary agents, publishing houses, celebrities, business executives and numerous starters who are looking to make a name for themselves. Ghostwriting LLC is a well-respected firm in the ghostwriting industry and a significant number of our clients have secured lucrative deals with prominent publishing houses. 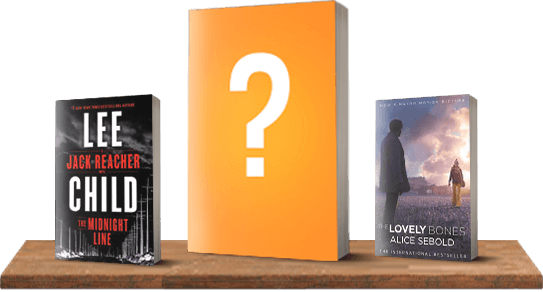 Whether it’s a memoir, sci-fi novel or a business book our comprehensive writing services ensure that your book is a stand out and is available for your readers. sample, and no-obligation price quote. What is a Ghostwriter and How to Find a Ghostwriters for Hire? You should find a ghostwriter for hire because ghostwriters will take whatever data or story you can give them and will work out a structure for the book. They will do all the essential written work and altering work for you. You should find a ghostwriter for hire because your ghostwriters will never judge you or condemn you. They will just guide and exhort you on the ideal approach to get your story or thoughts over to your readers. You should find a ghostwriter for hire because a ghostwriter will be as attentive as a decent specialist or a decent legal advisor. They are just there to make your book as discernable and saleable as reasonably expected and will never brag or talk about your private business with anybody without your particular consent. You should find a ghostwriter for hire because a decent ghostwriter will have the capacity to help you in moving toward distributors and specialists if that is fitting, and will likewise know how to enable you through the independent publishing to process. You should find a ghostwriter for hire because a ghostwriter is your ally from beginning to end, clarifying how the distributing business works, managing you the correct way. When you know how to find ghostwriter for hire who is right for the job, he or she will make your book as good as possible. They will stay adaptable and receptive to your necessities consistently, as you should be to theirs too. You should find a ghostwriter for hire because a good ghostwriter will be spending a while working for you. Through your perfect ghostwriter, you can bring home the bacon of success. So, you should work out what you can stand to pay them. Ask the amount they might want to charge and after that arrange and finalize that you will both be alright with. Different people who don't have the time — or the expertise — to write a book usually use the option ghostwriter for hire. They have such a significant number of inquiries on their mind; where can I get help for my book? What points do I have to consider for a great book? Or even I want to write a Book but don’t know how to start? We Are The Answer For YOU!. If You’re thinking: “If I should consider a ghostwriter for hire?” You're not the only one: More and more business people, entrepreneurs and business ghostwriters need to compose a book or get some eBook writers or, all the more precisely, have a book written by another person under their names. Instead of hiring a freelance ghostwriter who publicizes just his or her own administrations. You may want to investigate a bigger organization offering you a determination of professional ghostwriters and ghostwriting services. But, the real question is how to find a ghostwriter who is best for you. How to Hire a Ghostwriter? If you are looking for an answer that, how to hire a ghostwriter, we can help you with that! If you know people who have utilized ghostwriters or ghostwriting services, approach them to recommend potential ghostwriters for your task. Tell them your requirements and desires, which can guide them to an ideal contender for you. This can spare you time, vitality, and even cash. You can search online freelance sites for ghost writers if you like. Looking through different sites for different ghostwriters and ghostwriting services can guarantee that you get a quality ghostwriter who best fits your particular task. You can even consider making a job posting for one of the ghostwriting services sites. Incorporate data, for example, your necessities and basics and your financial plan. You just need to focus on the following points if you want to know how to hire a ghostwriter. If you feel overpowered or are experiencing serious difficulties finding particular ghostwriter through too many ghostwriting services sites. Look for a ghostwriting company or agency (Like us at Ghostwriting LLC) Tell us your necessities, desires, and spending so that we can place you in contact with a few potential ghostwriters, we have! Our essential concentration is to give you a ghostwriter for hire and ghostwriting services that you can rely on to finish amazing content. There are different things that you need to consider when you hire a ghostwriter. Is my goal a coincidental book or a proceeding with the relationship? Do I need a conventional book, an e-book, or an assemblage of a progression of articles, maybe for a proceeding with a blog? How long (by pages or word check) do I need the book to be? What's my due date or what could be my deadline? What writing style I am looking for: garrulous and easygoing, or a formal introduction for the executive of the board? The cost of contracting a ghostwriter fluctuates enormously relying upon the factors of the project, the capability of the writer, the many-sided quality of the topic, its complexity, and that's just the beginning. When you hire a ghostwriter, you're paying for their experience, skill, ability and time. Doesn’t matter: how tight your budget or deadline is, we are constantly excited and happy to team up with you! We are certain beyond a doubt, that our pros are the ideal approach to understand all your written work issues and your given project. We are prepared to give you a quality help whenever you require! Our great and professional ghostwriters are involved in what they commit on, they invest hours writing each post or page and what they write is PERFECT! Ghostwriting LLC. has brilliant writers to accommodate all genres, from fiction novels to business books, memoirs to self-help guides. We also provide turnkey publishing services for authors globally. Copyright © 2019 Ghostwriting LLC. All rights reserved. ACTIVATE YOUR GHOSTWRITING COUPON TO AVAIL 70% DISCOUNT!